Nathan's Song List includes: Unaccompanied Bach Cello Suites, Saint Saens "The Swan", selected works by Vivaldi, Boccherini, Schroeder, Haydn, anything out of the Jazz Real Book, and solo cello requests from Harvest Acoustic and The New Classics. Nathan Blaz is a cellist, composer, electronic music producer, and DJ based in Oakland, CA. He studied cello and music synthesis at the Berklee College of Music in Boston. In 2006, he moved to the San Francisco Bay Area, where he became a founding member of the indie rock band Geographer, a successful San Francisco-based indie rock band that has sold out the Fillmore and played at festivals such as Outside Lands and the Treasure Island Music Festival. He recorded and toured with the band for eight years. In 2013, he formed systemritual, an experimental dance/minimal synth duo with video artist Elia Vargas. 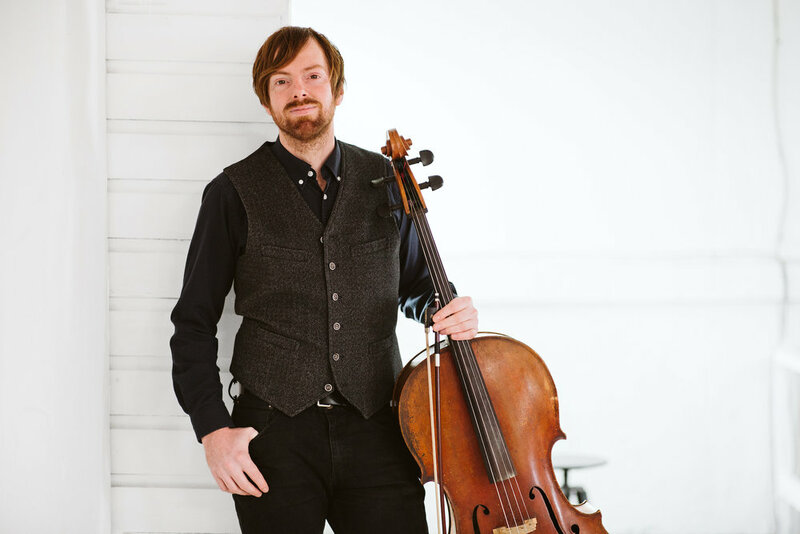 When not composing or producing, Nathan teaches cello and music production lessons and plays classical cello and DJs for events. Nathan is also available to perform in these Ivy Hill associated acts. Some of our most experienced live performers have undergone professional DJ training and can accommodate any mix between live music and DJ seamlessly.